When operating under an experimental airworthiness certificate, the good news is that, in most cases, you can continue to operate your business aircraft internationally. The process of obtaining international overflight and landing permits, however, differs from the norm and requires additional lead time and planning. Experimental certificates – for test flights, research and development, or new equipment evaluation purposes – require compliance with regulations that include operational limitations with authorities like the Civil Aviation Authority (CAA) and Federal Aviation Authority (FAA). It’s a different arena when operating internationally under an experimental certificate. There is the potential for fines and detention of aircraft if the process is not orchestrated properly. You may run into a different set of problems with each country you operate to or fly over, so let your 3rd-party provider do the advanced research to find any potential problem areas. An aircraft must conform to its type certificate and be in condition for safe operation. Use of aircraft that have undergone changes to type design and require flight testing may operate under CAA (for non-U.S. registered aircraft) or FAA (for U.S.-registered aircraft) experimental airworthiness certificates. These certificates include detailed operating limitations. Aircraft must be appropriately marked as “experimental” and are prohibited from flying with non-essential personnel onboard. In most cases, these will be ferry flights unless approved otherwise. Original Equipment Manufacturers (OEMs) operating a new aircraft type that’s never had an airworthiness certificate, or operating an existing aircraft type with new equipment that may change the performance of the aircraft, all require an experimental certificate. If you’ve loaned your aircraft to an OEM to test new equipment, it may require this type of certificate. Experimental military aircraft, built under a military contract with appropriate military markings, do not require issuance of experimental certificates for test-flight or demo purposes prior to acceptance by the military. An experimental certificate allows you to fly for a certain period, usually one year or less, under operating limitations. 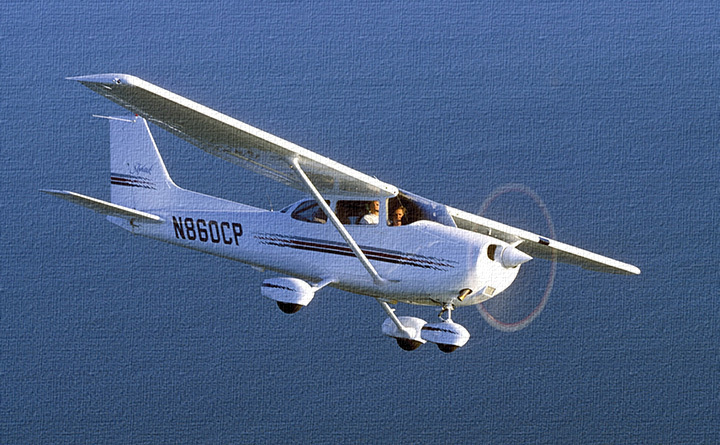 Non-U.S. registered aircraft must request an experimental certificate from the CAA in which the aircraft is registered. For U.S.-based operators, the first step is to work with the FAA to issue an experimental airworthiness certificate, based on test information and available data. If your CAA or the FAA is not comfortable with the test information provided, they will ask for more testing before the certificate is issued. 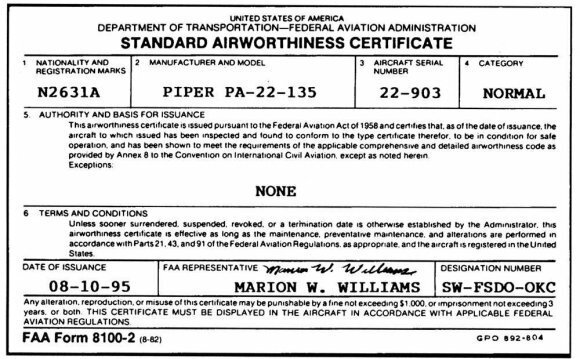 A certificate of experimental airworthiness will be issued with a limitations list that may be anywhere from five to 15 pages long. Your certificate will indicate the area(s) over which operations are to be conducted for the duration of the test period. You’ll be required to mark aircraft appropriately as “experimental, ” notify everyone on board of the experimental status, and not carry passengers or cargo for compensation. Only essential personnel, typically just pilots and flight engineers, may be carried. When operating outside your home country, you’ll need special overflight and landing permits, even in the case of countries that do not normally require them. 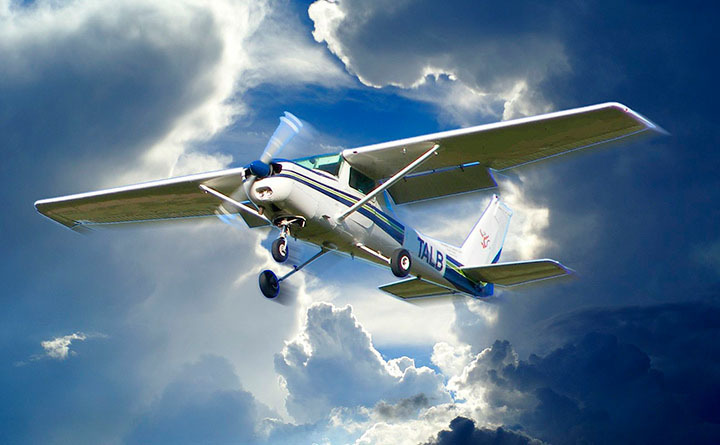 Certificate limitations govern the operation of your aircraft and normally allow international movements. A qualified 3rd-party provider can arrange international overflight and landing permits as required, but more planning than normal will be necessary. You must adhere to all rules and policies of appropriate CAAs and notify them that you’re flying on an experimental certificate. Send your limitations list in advance to secure permits. For example, Canada and Iceland don’t require private non-revenue overflight permits, but they do require permits to fly private non-revenue experimental. It’s best practice to set aside five working days to arrange any necessary overflight and landing permits in case additional information is required. Few countries will deny experimental permit applications, but if they do, your 3rd-party provider should be able to offer assistance.